Today more than ever before, there are many dental treatments created to give you a healthy, gorgeous smile. Not only that, these treatments are so durable and effective, they can last your whole life long. One treatment that Dr. Braun at New Braunfels Dental Arts offers are a tooth crown or dental crowns. A tooth crown or dental crowns cap a regular tooth with a false tooth made of safe, strong material that is then cemented to the natural tooth. If you have a tooth that is weakened from decay or other issues, a tooth crown can be placed over it to keep it from breaking apart. If you have a tooth that is already broken or very worn down, dental crowns can be placed over them to keep them from breaking further. If you have a tooth with a large filling and there isn’t much tooth left, a dental crown placed over it can offer further protection as well as look more like a natural tooth. 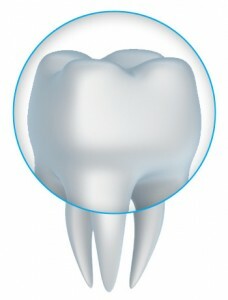 If you need a dental bridge to replace a missing tooth, dental crowns are placed on the two teeth adjacent to the gap. These dental crowns hold the dental bridge in place. If you have teeth that aren’t uniform shape or are discolored next to your natural teeth, a tooth crown can be placed on your natural tooth to make your smile look more uniform. If you have gotten a dental implant, a tooth crown is placed over it to make your smile look uniform and natural. Dental crowns require no special care, so simple dental care like brushing and flossing will help keep your mouth clean and healthy. Having a lovely smile is such a confidence builder and at New Braunfels Dental Arts we are committed to doing all we can to give you the smile of your dreams. Call us today!